The Color Diffusing Snowflakes are cut into a variety of different snowflake shapes. Since every student will color their snowflakes differently, you can talk about how no two snowflakes are alike, even within art! 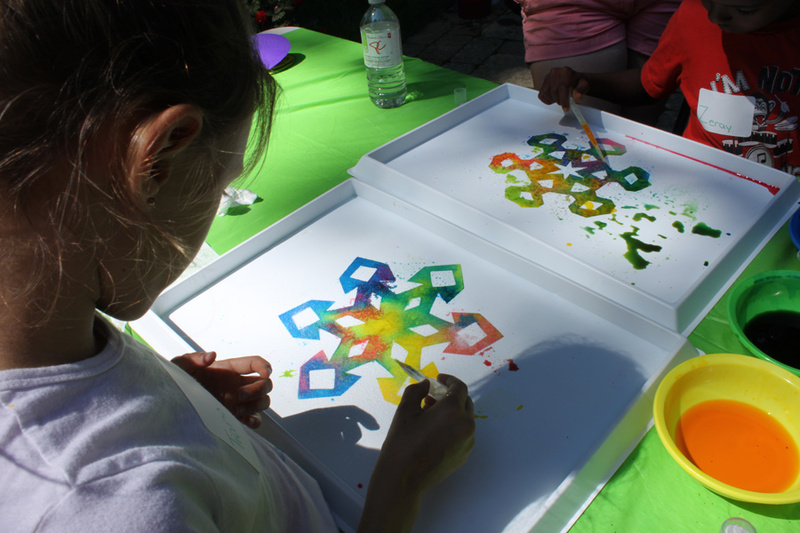 We worked on our snowflakes in the sun and it helped to speed up the drying process while we painted! So no matter where you live, this will be a great activity for your students to try. 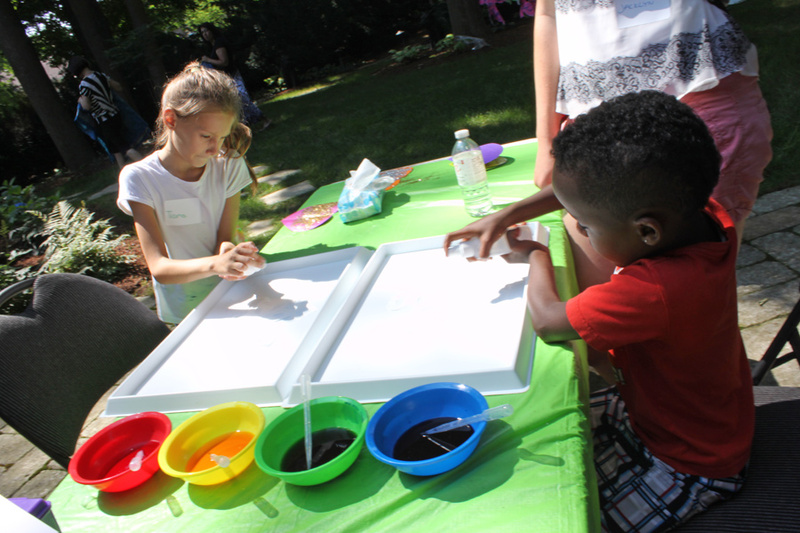 Notice that we provided pipettes at each of the bowls for each color of watercolor paint. This helped to make sure that students placed the pipette back to its original bowl before using another color. 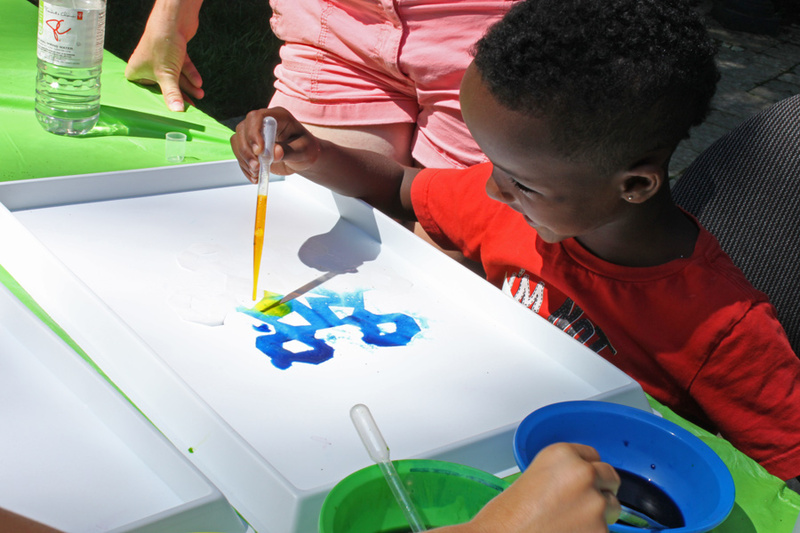 In addition, we placed paint trays beneath the Color Diffusing Snowflakes to help keep paint off the workstations. Place the pipette above the Color Diffusing Snowflake and gently release some of the paint. 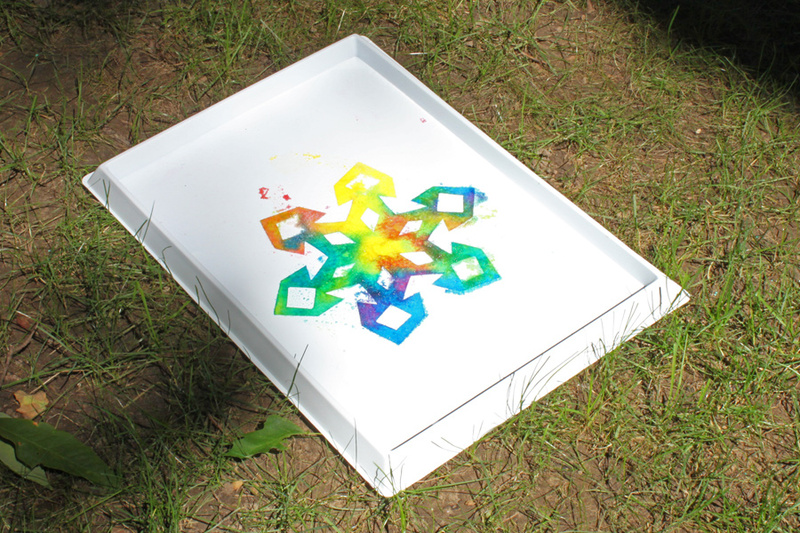 Our crafters enjoyed watching the colors spread throughout the paper; it showed the entire shape of the snowflake against the white of the plastic paint tray. 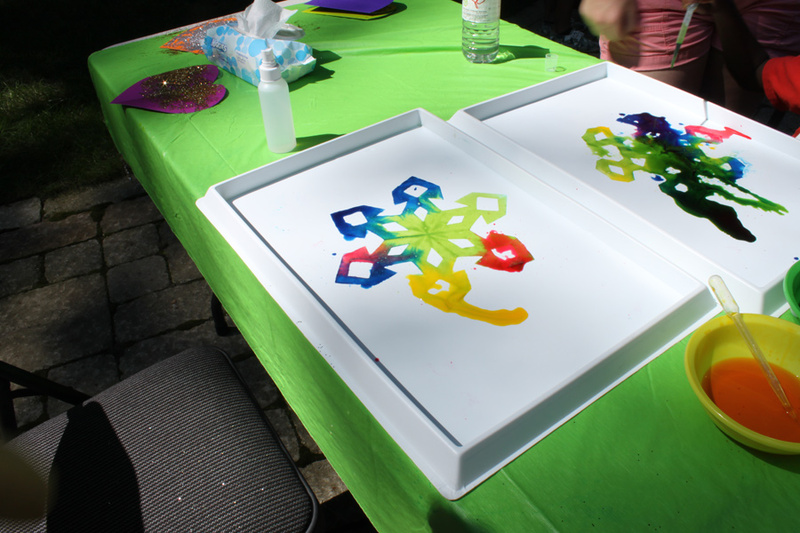 Our crafters combined some of the colors to make some of the coolest-looking snowflakes around! To really add interest to the project, spread a pinch of Epsom salts or regular table salt over the drying snowflakes. As the snowflakes dry, the salt will stick to the paper and appear sparkly like real snowflakes! Thanks for hanging out with us today! Have you tried this project? Send us photos of your work if you have! We’d love to feature your work in our next post! Send all emails to us through the contact form! We’ll be updating every day of this week and next week with fantastic holiday crafts you can use in your classroom! LittleFingersBigArt won’t be posting anything between December 18th, 2013 and January 6th, 2014! Have a wonderful winter vacation! This entry was posted in Art, Crafts and tagged art, art teacher, color diffusing snowflakes, paint crafts, pipettes, school art, watercolor art, winter crafts by roylcoblog. Bookmark the permalink.